As an Automotive Repair Dealer or Smog Check Station owner, being certified and remaining in the good graces of the Bureau of Automotive Repair is essential to your bottom line. Under certain circumstances, however, the Bureau of Automotive Repair can revoke your license. If your license is in danger of being revoked, what do you do? The most logical way to address a license revocation is to hire an expert. Hire your own expert Bureau of Automotive Repair defense attorney, and let that expert defend you in Court. You wouldn’t take your one off custom car to just any guy, would you? You’d go to your expert – the guy you trust. Your license is far, far more valuable and if you are being threatened that the BAR is going to revoke your ARD or SMOG check license, you need to consider working with an expert attorney. Any discipline could also affect your STAR Certification. If you have received a letter from the Bureau of Automotive repair, a citation, or even an accusation, reach out to our expert attorneys. If your ARD (Automotive Repair Dealer), SMOG Check Station, or STAR Program license has been revoked, call us immediately. 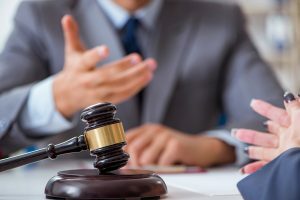 We’ll give you a free phone consultation and determine how we can be not the best attorneys in California for fighting the BAR, but the best attorneys for you and your individual case. Our goal is unique to you.